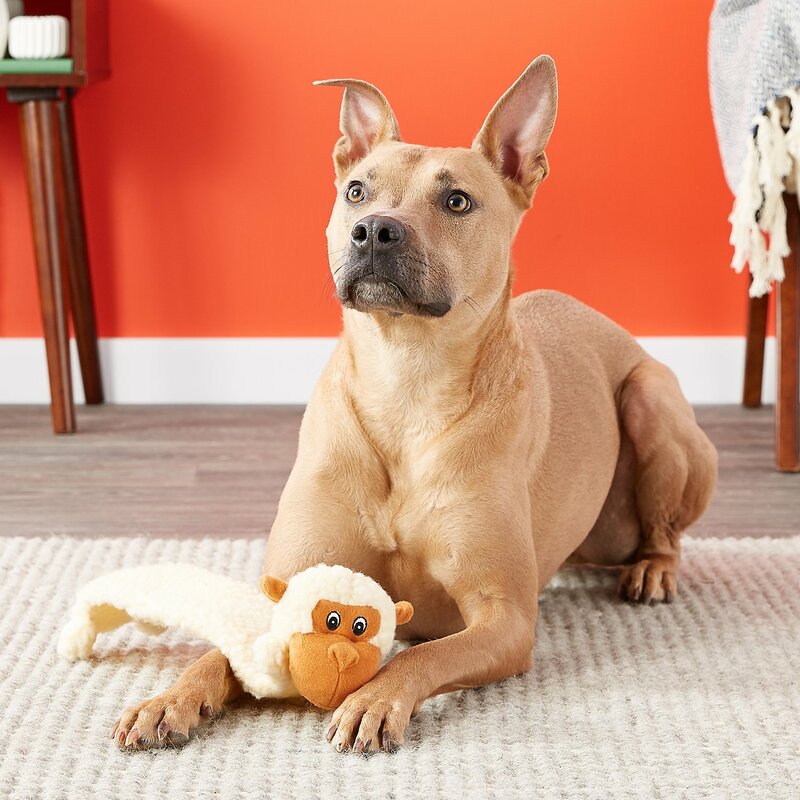 Keep your pup entertained with the Petlou Flat Fleece Monkey Plush Dog Toy. Made of ultra-thick, durable fleece, this monkey is double-stitched to endure plenty of play. 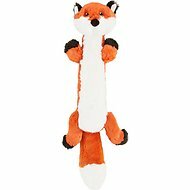 The head and legs contain squeakers to appeal to your dog’s natural instincts, and the body is filled with crinkle material for an exciting texture to entice your pup for hours. This thoughtful design is perfect for a game of fetch or supervised solo play to curb boredom. 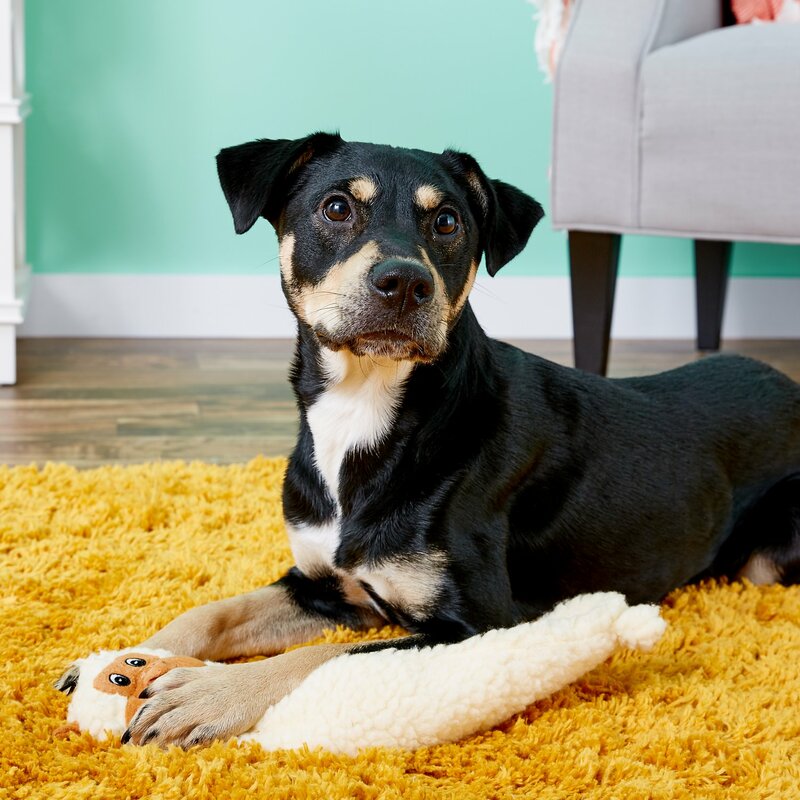 Choose the size that best suits your dog and keep him captivated with his new favorite toy. Made with ultra-thick, durable fleece material. Double-stitched to endure hours of playtime fun. Contains squeakers to entice your dog’s natural instincts. Crinkle body provides a fun and exciting texture for your dog. Choose the size that best suits your dog for his ideal new toy. My pup love to play tug with toys and often will eat the stuffing- so I try to get her flat toys. This one first time playing with it the seems already came open. The fabric the toy is made of doesn’t seem to be very durable. Thought this would be a great toy! Had a couple similar with the crinkle. My dog loves them. But he ripped open the head and pulled out the stuffing within a couple hours. My two Shih Tzus loved this. They like tug of war and this one has held up. My Carin Terrier loves this toy. He hides it from his bulldog brother and sisters. Puppy tore head off in less than 5 minutes 0 stars!